In August I said “in about two weeks I’ll upload the second release candidate [RC2]”. What I meant was “in about two turtle weeks I’ll upload the second release candidate.” Well, it’s nearing the end of the second turtle week and I still haven’t found the conversion from whale-years to human-years. 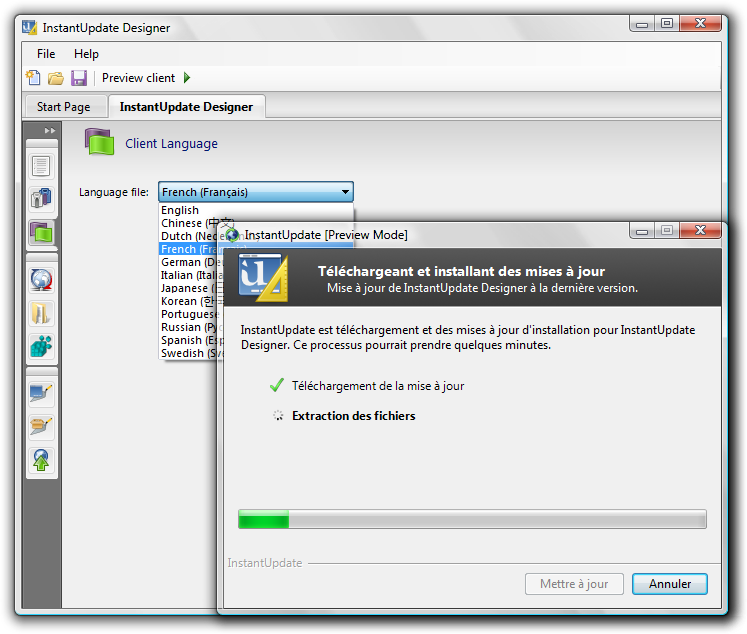 Thus, I have to release InstantUpdate 1.0 RC2 soon or risk being labeled a liar. 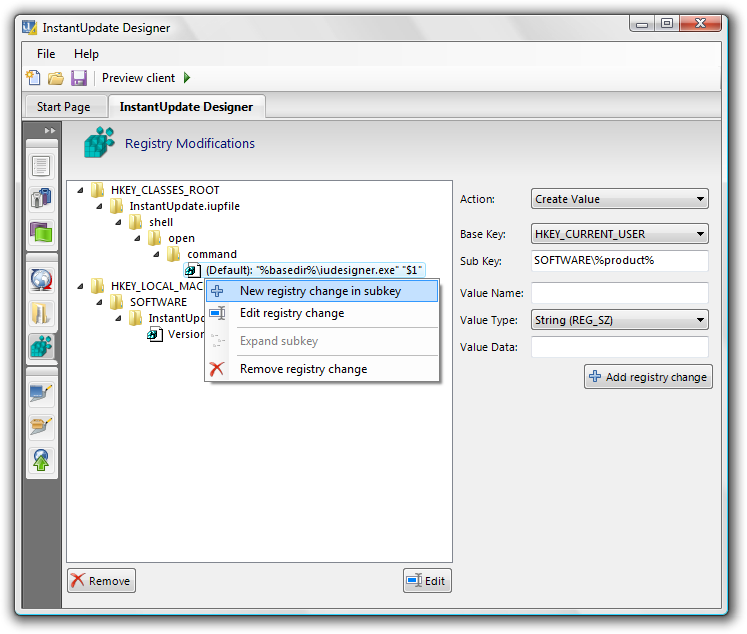 This release has a few new notable features like multi-lingual support, true drag-and-drop from Windows Explorer, editing and removing appearance templates, and the ability to preview the client without needing to run it on a test machine. More importantly, and subtly, RC2 went through an aesthetic overhaul. 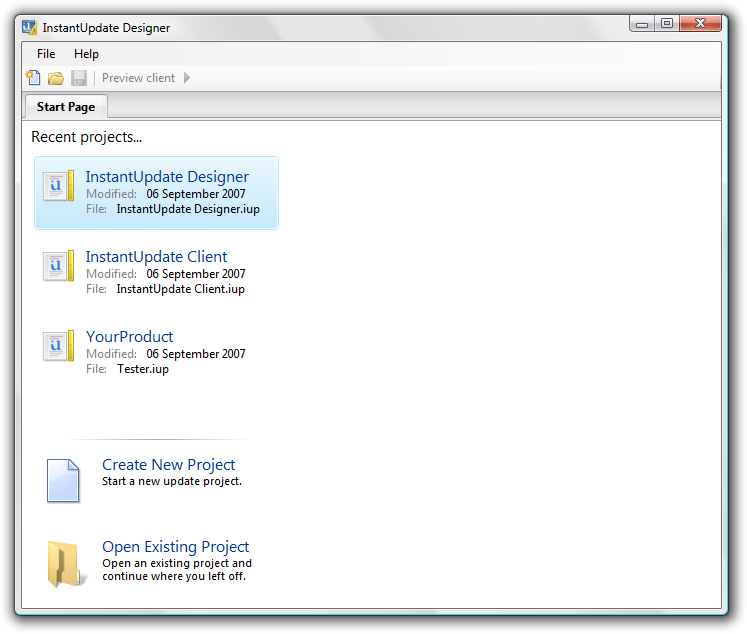 I’ve used my time to make the interface simple. How? By eliminating all steps that can be done more efficiently by a computer. Go ahead, you can snigger at that sentence. But Wyatt, a schizophrenic fragment of myself asks, isn’t that the entire point of creating computer programs? Good question, me. It is the whole point, but more specifically computer programs must allow freedom of creation while simultaneously restricting the user’s actions. Don’t scream “Orwellian” just yet. Although restricting liberties for the “greater good” sounds like something an authoritative government would say, in the case of computer programs it actually works. As you can see, the “limited” control is much nicer. 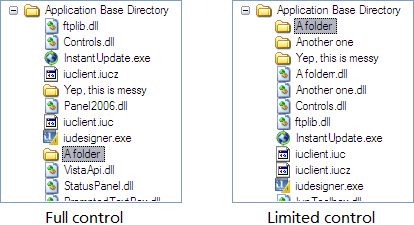 In addition to sorting sorts by name, I further limited the user’s control by automatically warning you if you try to rename something to an invalid filename (by Windows standard) and prompts you if you try to overwrite an existing file or folder. Previously I just left all files and folder handling up to the user. It was an unnecessary freedom that led to messiness even in my own projects. I could lie and say simplifying a program is hard. It’s not; it’s hours of tedium punctuated minutes of excitement and inspiration.